1U 8 bay 2.5 SATA to mini-SAS interface, up to 350MB/s performance. Supports 2.5 SATA / SSD hard drives, including both 9.5mm and 12.5 mm height. Hardware RAID rackmount with multiple RAID volume supported. Build-in LCD, Web based management interface with event log and e-mail notification supported. Latest version of 1U 4 bay iSCSI with 2 Gb Ethernet, supporting RAID 6 and 60. 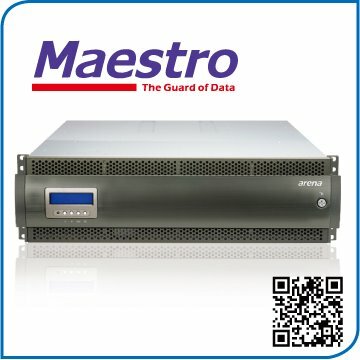 Supports iSCSI jumbo frame, MC/s and Microsoft MPIO, up to 190MB/s. PCI Express x8 to SAS/SATA hardware RAID 2U 12 bay rackmount. Supporting SAS or SATA drives with expansion using 7 AS212X6S for up to 96 drive bays. Bundled with PCIe re-driver controller card and PCIe extender cable for host computer, support Windows, Linux and MAC. SAS to SAS/SATA hardware RAID. Dual Channel 6G SAS connector, supporting SAS or SATA drives with expansion using 7 AS212X6S for up to 96 drive bays. Hot swappable drives supporting hot spare and automatically rebuilding. Upgradeable to redundant controller version (AR212X6R) for high availability. Dual redundant controller, cooling fan and power supply for high availability. SAS to SAS/SATA hardware RAID. Quad Channel 6G SAS connector, supporting SAS or SATA drives with expansion using 7 AS212X6R for up to 96 drive bays. Compatible with both high performance SAS or high capacity SATA drives. SAS expander included for additional 7 JBOD units (AS212X6S), up to 96 bays. Quad Fibre Channel 8 Gbps interface with redundant power supply and fans. Upgradeable to redundant controller version (AR212F8R) for high availability. Eight Fibre Channel 8 Gbps (4 per controller) interface with redundant power supplies. Support High performance 6G SAS drives or 6G SATA Drives with MUX Board. SAS expander included for additional 6 JBOD units (AS212X6R), up to 96 bays. SAS to SAS/SATA hardware RAID. Dual Channel 6G SAS connector, supporting SSD, SAS or SATA drives with expansion using 4 AS224X6S for up to 120 drive bays. Upgradeable to redundant controller version (AR224X6R) for high availability. SAS to SSD/SAS/SATA hardware RAID. Quad Channel 6G SAS connector, supporting SSD or SAS or SATA drives with expansion using 4 AS224X6R for up to 120 drive bays. AccuRAID AR224F8 - 2U 24 Bay 6G SSD/SAS/SATA to 8G FC *4 RAID 6 Upgradeable Rackmount w/ Exp. SAS expander included for additional 4 JBOD units (AS224X6S), up to 120 bays. Upgradeable to redundant controller version (AR224F8R) for high availability. Support High performance 6G SAS drives or 6G SATA Drives and SSD with MUX Board. SAS expander included for additional 4 JBOD units (AS224X6R), up to 120 bays. PCIe x8 to SAS/SATA hardware RAID 3U 16 bay rackmount. Supporting SAS or SATA drives with expansion using 7 AS316X6S for up to 112 drive bays. SAS to SAS/SATA hardware RAID. Dual Channel 6G SAS connector, supporting SAS or SATA drives with expansion using 6 AS316X6S for up to 112 drive bays. Upgradeable to redundant controller version (AR316X6R) for high availability.  AccuRAID AR316F8 - 3U 16 Bay 6G SAS/SATA to 8G FC *4 RAID 6 Upgradeable Rackmount w/ SAS Exp. SAS expander included for additional 6 JBOD units (AS316X6S), up to 112 bays. Upgradeable to redundant controller version (AR316F8R) for high availability. SAS expander included for additional 6 JBOD units (AS316X6R), up to 112 bays. iSCSI to SAS/SATA hardware RAID 0,1, 0+1, 3, 5, 6, 10, 30, 50, 60 and JBOD. 4x 1GbE ports supporting LACP port trunking, fail-over, or load balancing. Microsoft Multipath I/O (MPIO), WindowsVolume Shadow Copy and Snapshot. SAS to SAS/SATA hardware RAID. Quad Channel 6G SAS connector, supporting SAS or SATA drives with expansion using 6 AS316X6R for up to 112 drive bays. Supports up to 3 additional SAS/SATA JBOD expansion units. Redundant controller with SAS/SATA drives for up to RAID 6 protection. 8x1GbE ports supporting LACP port trunking, fail-over, or load balancing. 2x 10GbE ports supporting LACP port trunking, fail-over, or load balancing. 4x10 GbE ports supporting LACP port trunking, fail-over, or load balancing. Microsoft Multipath I/O (MPIO), Windows Volume Shadow Copy and Snapshot. PCIe x8 to SAS/SATA hardware RAID 4U 24 bay rackmount. Supporting SAS or SATA drives with expansion using 5 AS424X6S for up to 120 drive bays. SAS to SAS/SATA hardware RAID. Dual Channel 6G SAS connector, supporting SAS or SATA drives with expansion using 4 AS424X6S for up to 120 drive bays. Upgradeable to redundant controller version (AR424X6R) for high availability. SAS to SAS/SATA hardware RAID. Quad Channel 6G SAS connector, supporting SAS or SATA drives with expansion using 4 AS424X6R for up to 120 drive bays. SAS expander included for additional 4 JBOD units (AS424X6S), up to 120 bays. Upgradeable to redundant controller version (AR424F8R) for high availability. SAS expander included for additional 6 JBOD units (AS424X6R), up to 120 bays. 8x 1GbE ports supporting LACP port trunking, fail-over, or load balancing. 4x 10GbE ports supporting LACP port trunking, fail-over, or load balancing. 4U 42-bay up to 126TB Quad channel Fibre Channel 8Gb/s system. Supports RAID 0, 1, 0+1, 3, 5, 6, 30, 50, and 60. 4U 42-bay up to 126TB Quad channel * 2 Fibre Channel 8Gb/s system. Active active redundant controllers for high availablity storage. 4U 42-bay up to 126TB Dual channel SAS 6G system. 4U 64-bay up to 192TB Dual channel * 2 SAS RAID system. 192TB in 4U for high density provide energy and rack space saving. 4U 64-bay up to 192TB quad channel SAS RAID system. 4U 64-bay up to 192TB quad channel fibre channel 8G RAID system. 4U 64-bay up to 192TB quad channel * 2 fibre channel 8G RAID system.